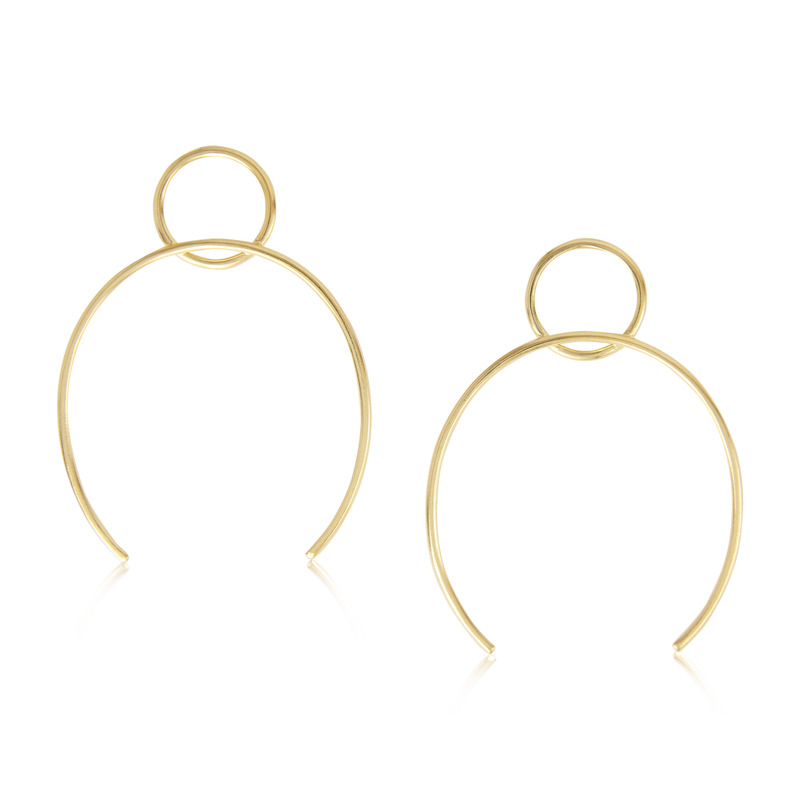 - The earrings are lightweight, made out of round 2mm thick sterling silver wire, and dipped into a thick layer of 24k Gold Plating. - The circle measures 1.7cm in diameter and the open oval part measures 4.5cm wide. - The earrings measure 6cm from top to bottom. - Sterling silver posts soldered at the back, and sterling silver butterfly stoppers.